MBP Mad Hatter Halloween Party 2016 - Triple Joys!!! 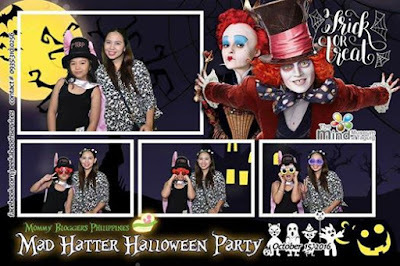 Last October 15, 2016, the members of Mommy Bloggers Philippines (MBP), together with our families, once again had a fun and goody-filled Halloween celebration, this time at The Mind Museum. 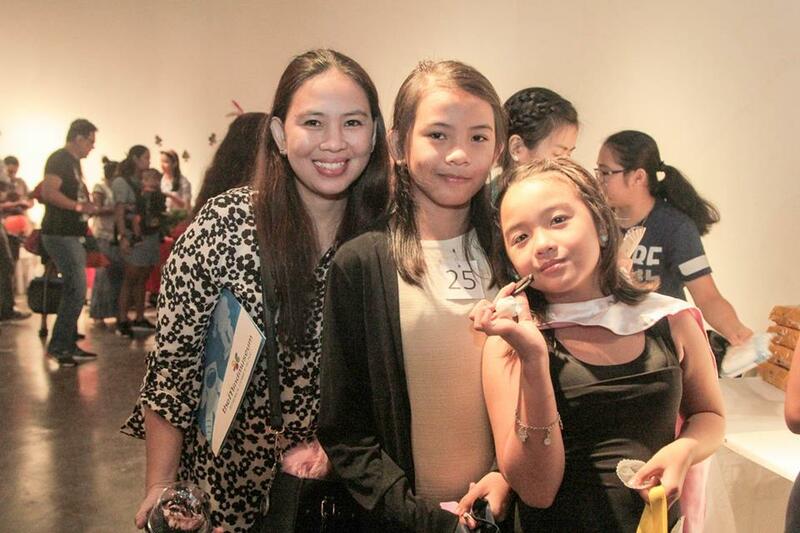 The Mind Museum is a project of the non-profit Bonifacio Art Foundation, Inc. which is dedicated to providing extraordinary educational experience that inspires the public understanding of science. 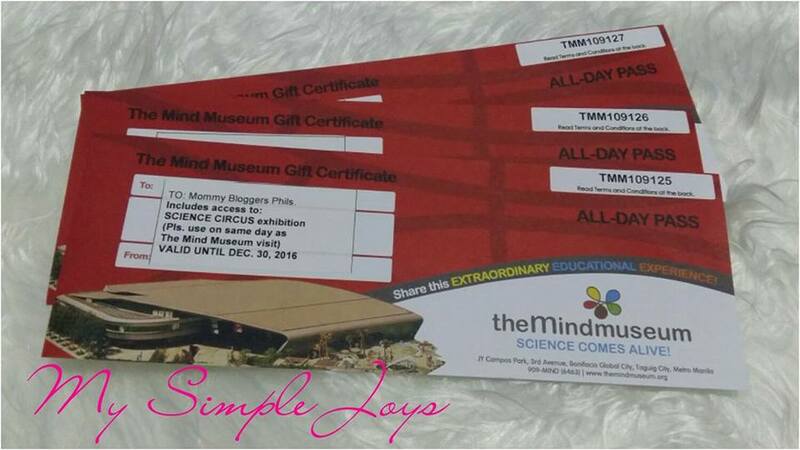 To know more about The Mind Museum, you can check their web addresses and social pages indicated below this post. You may also check this link to know more of their latest offering - The Science Circus! Back to the event, this year's theme centered on one of the famous character in the story of Alice in Wonderland - Mad Hatter! Who doesn't love this character anyway?! :) Everyone, especially the kids, were encouraged to make their own unique version of Mad Hatter's hat. And here is one of the hat that I prepared for my daughters! Unfortunately, our hat didn't win. But, that's ok. Better luck next time. :) Congrats to the winner who really made a great effort in preparing their entry! :) The winner of course, got a very nice prize courtesy of Recipe Co! Another thing that we really look forward to in every Halloween party is the costume competition. This year, there were again two winners, one for the male kid category, and the other for the female kid category. More than the kiddos, I think it was really the mommies who were more excited to dress up their children! hahaha! And that is really what we mommies are really proud of, lagi tayong game in every challenge that come our way, especially if it will be for the benefit of our children, right?! Kids of all ages came in their cute (and some are scary) costumes. 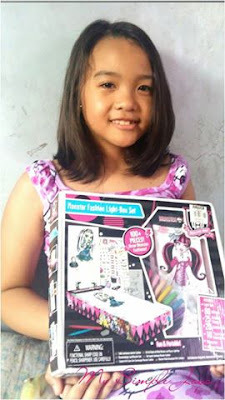 And again, Richprime was generous enough to give out special prizes for the two winners. Congratulations again to the winners! Anyway, Tupperware was really kind enough to provide the prizes for the raffles! Thank you so much Tupperware Brands! 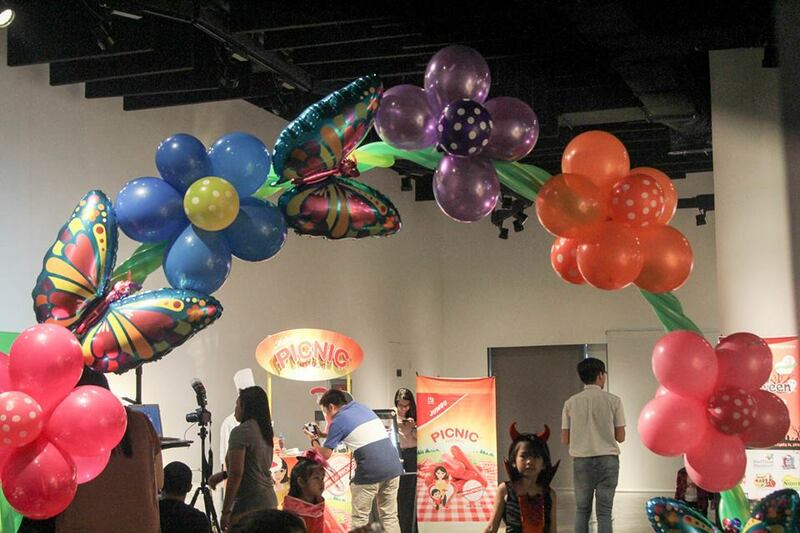 It was indeed a very festive event, thanks to Okasyon Filipinas for providing all the balloon decorations! It surely made the venue a lot more alive and colorful. 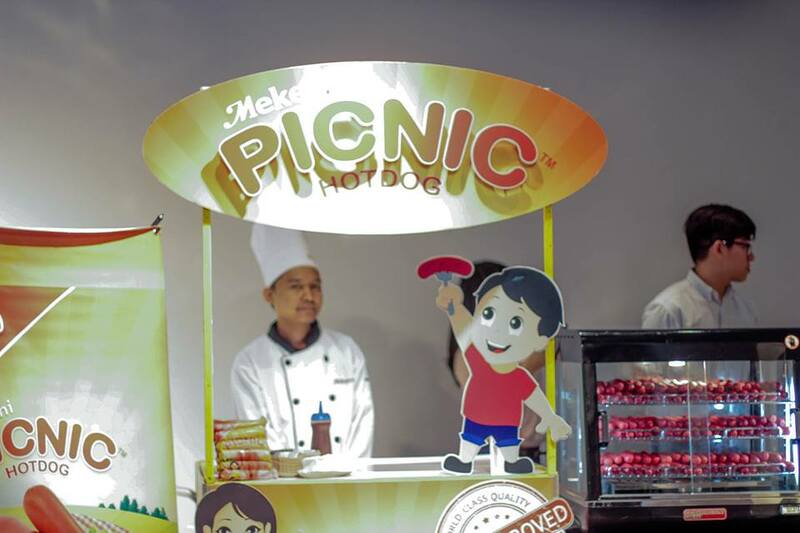 And special thanks also to Mekeni Picnic Hotdog for providing our snacks throughout the event! My daughters really enjoyed your hotdogs! For our drinks, we thank Aquabest for quenching our thirst by providing us safe drinking water. 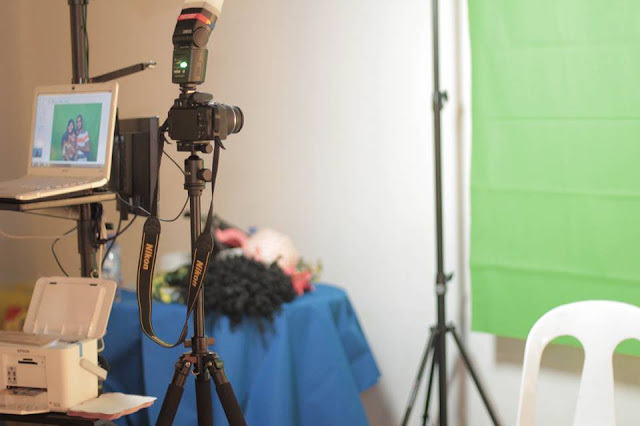 Another hit among the mommies and their kiddos during the event is the photobooth! Thank you so much Peekabooth for the experience! And last but definitely not the least - the highlight of the event which the kids and the kids-at-heart were really waiting for - the Trick or Treat! Look at these yummy goodies that the mommies and kiddos got to try and take home! Who wouldn't love to eat all these?! These irresistible treats are courtesy of Glass of Sweets! I almost don't want to eat them! These are all cute! These personalized Mad Hatter chocolates are all yummy! Thank you Sweet Art for these sweets! Chocolates, chocolates and more chocolates! These cuppies are indeed a Work of Love! Do consider them if you want to add some more love to your special events! More cuppies from Recipe Co! Aside from the treats that the mommies and the kiddos got to try above, each kid also got to take home these goodies for their loots! Chips and Fries, anyone?! Thank you so much Jagabee! Healthy Milk, Chocolate and Juices from Selecta! Thank you Nestle for these treats! As always, you've been so generous! My nephew was really excited to see our pasalubong for him! Thank you so much MBP for another successful event! We again proved that we, mommies, really know how to party! As early as now, this mommy is already excited for the next event of MBP! Many thanks again to all our very generous sponsors who made this event even more fun and successful! The Mind Museum All Day passes and tickets to The Science Circus! Thank you so much Mekeni Picnic Hotdog, R Verdice Photography, Okasyon Filipinas, Peekabooth, Nido 3+, Selecta Milk, Selecta Moo, Sunkist Juice, Aqua Best, Stuffink, LemonSquare Whattatops, Tupperware, Sweet Art, Glass of Sweets: Desserts and Treats, Recipe Co, Work of Love Sweet Treats, Jack n Jill Calbee Chips, Sugar Blends, Richprime: Hot Wheels, Monster High, Thomas and Friends, for their support, giving us giveaways, prizes, and raffle items.